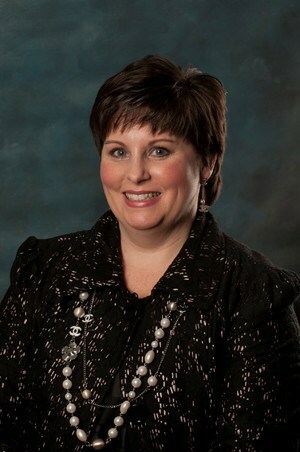 March 27, 2012 | LITTLE ROCK – Cory Leigh Taylor has been appointed as a regional director of the National Association of Cancer Centers Development Officers (NACCDO). She is director of development for major gifts for the Winthrop P. Rockefeller Cancer Institute Foundation at the University of Arkansas for Medical Sciences (UAMS). As a regional director, Taylor will serve as a NACCDO liaison with five cancer centers, providing ongoing communications to each. The five centers assigned to Taylor are Duke Comprehensive Cancer Center, Hollings Cancer Center at the Medical University of South Carolina, Markey Cancer Foundation at the University of Kentucky, University of Florida Shands Cancer Center and Virginia Commonwealth University Massey Cancer Center. Taylor has 16 years of experience in fundraising. Prior to joining UAMS in 2008, she held development positions at the March of Dimes in Denver and Muscular Dystrophy Association in Tampa, Fla. She did fundraising for the Clinton-Gore political campaign from 1995-1996. She holds a bachelor’s degree from University of Arkansas at Little Rock and is a Fort Smith native. NACCDO is a cooperative venture of academic-based cancer centers that are designated by the National Cancer Institute (NCI), who have investigators that receive NCI grant funds or are members of the Association of American Cancer Institutes. The network was created to share information and resources among the development programs of the cancer centers and to address critical development issues of common concern. The UAMS Winthrop P. Rockefeller Cancer Institute is one of 60-plus cancer centers that hold membership in NACCDO.